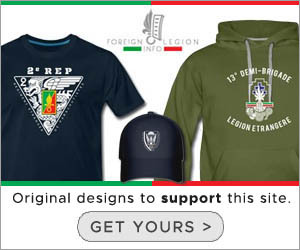 The history of the 2nd Foreign Infantry Regiment (2e REI), the Foreign Legion’s longest-serving regiment. 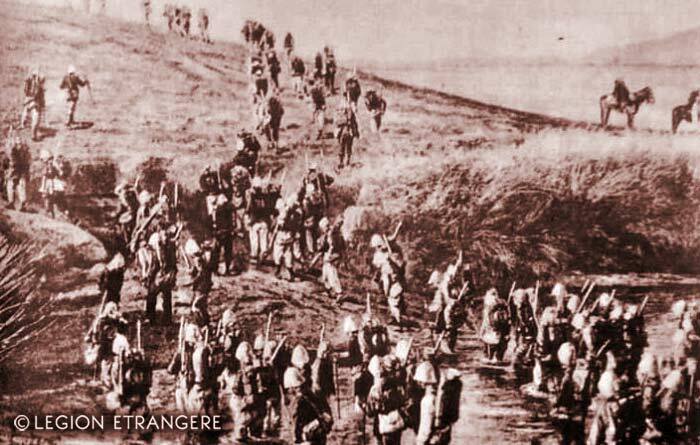 The history of 2e REI started in Algeria in April 1841, when the French Foreign Legion devided into two parts. 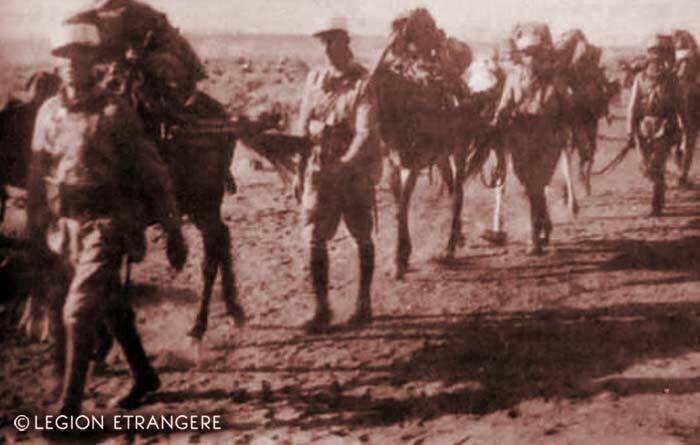 Before WWI, legionnaires of the 2nd Regiment fought in Algeria, Crimea, Italy, Mexico, French Indochina, Madagascar or Morocco. 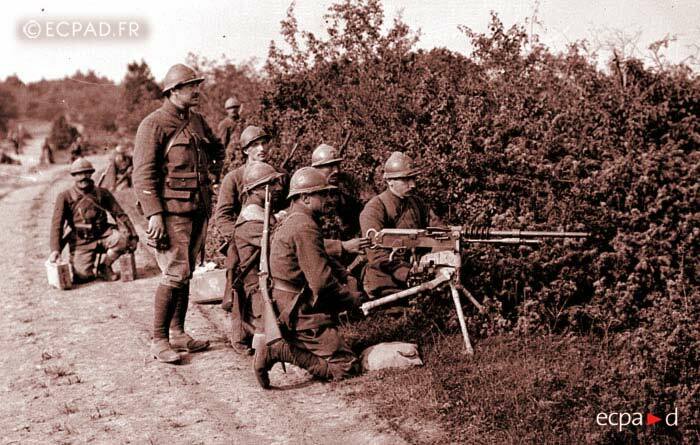 During WWI, they helped to form the RMLE, which became one of the two most awarded unit of the French Army. 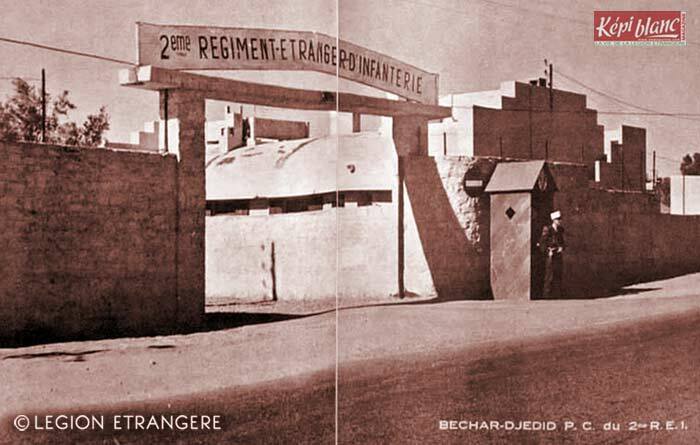 After WWI, the 2nd Regiment’s legionnaires continued to serve in Morocco (North Africa), until the deactivation of the 2e REI in early 1943, during World War II. 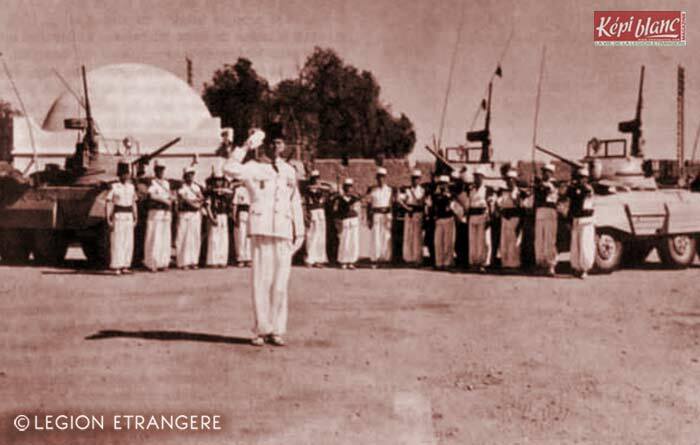 Reactivated in 1945, the regiment was sent to French Indochina and got involved in the First Indochina War (1946-54). 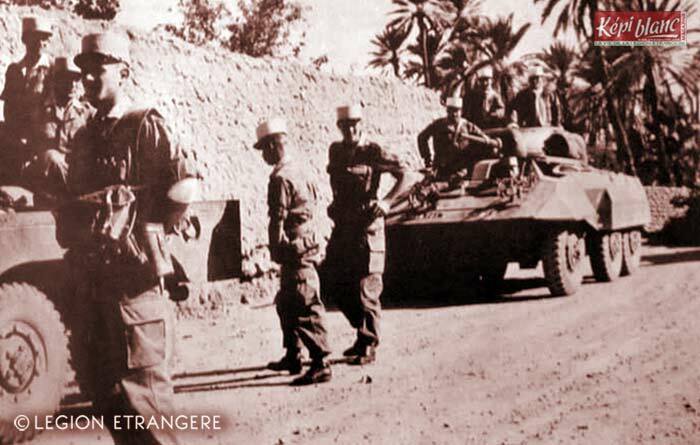 It returned to Africa in 1955 and joined the Algerian War (1954-62). 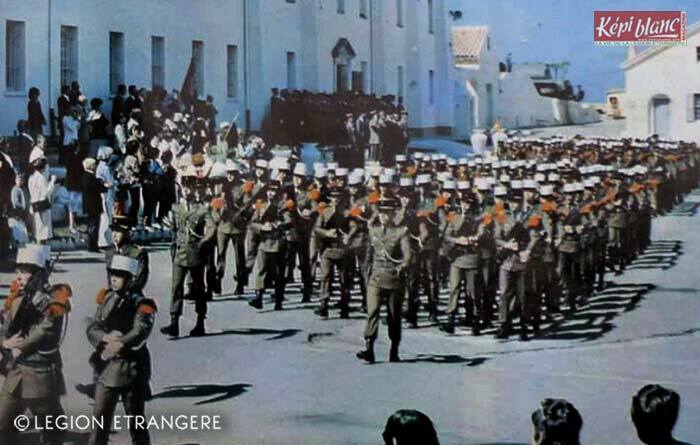 In 1968, the 2e REI was the last regiment of the Foreign Legion to leave North Africa, the home to the Legionnaire. 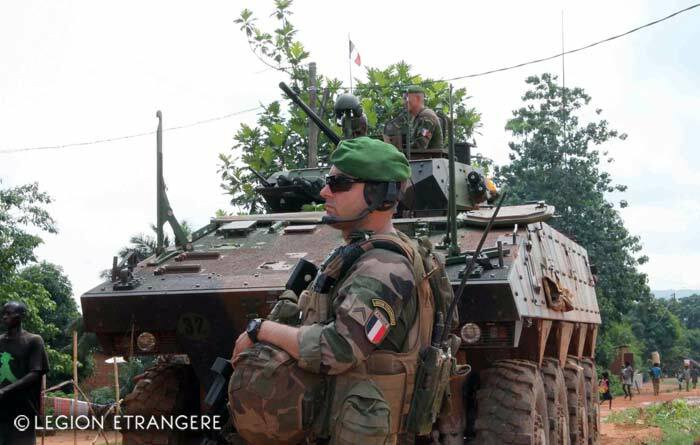 After being stationed in Corsica 1972-83, the regiment moved to France. 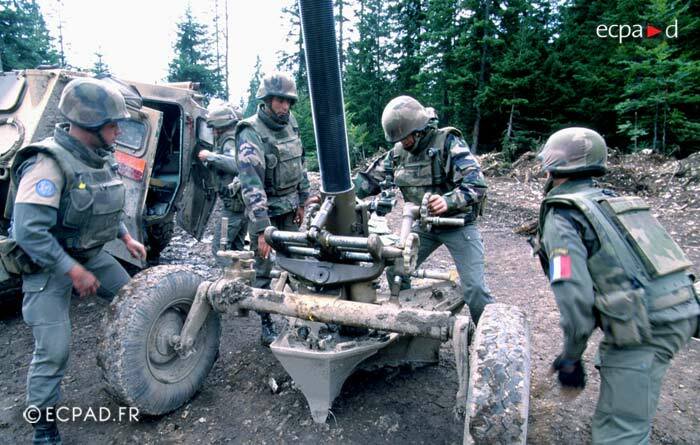 Since the 1980s, the 2e REI deployed to Lebanon, Chad, Iraq, Rwanda, Cambodia, Ivory Coast, Zaire, Central African Republic, ex-Yugoslavia, Senegal or Mali. 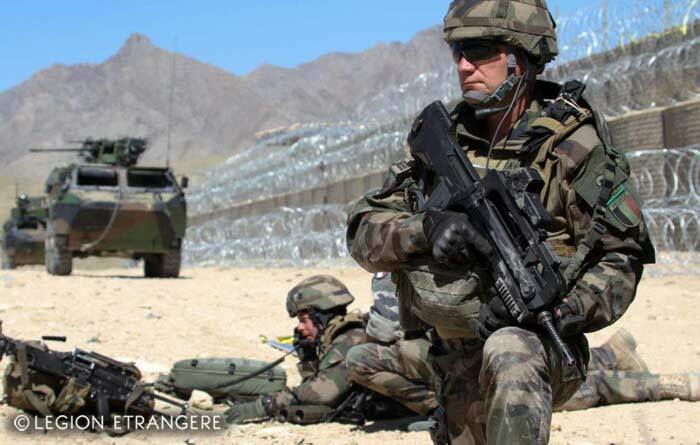 Currently (2016), it is the largest regiment of the Foreign Legion. 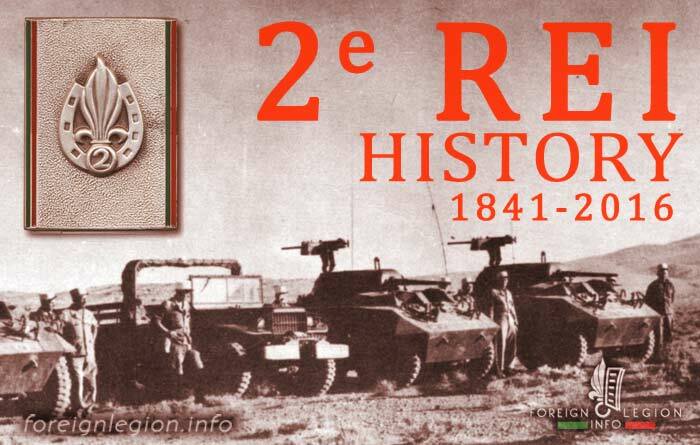 Insignia of the 2e REI’s 4th Mixed Motorized Company, established in November 1940 and based at Ouarzazate, Morocco. The insignia was created in July 1941. 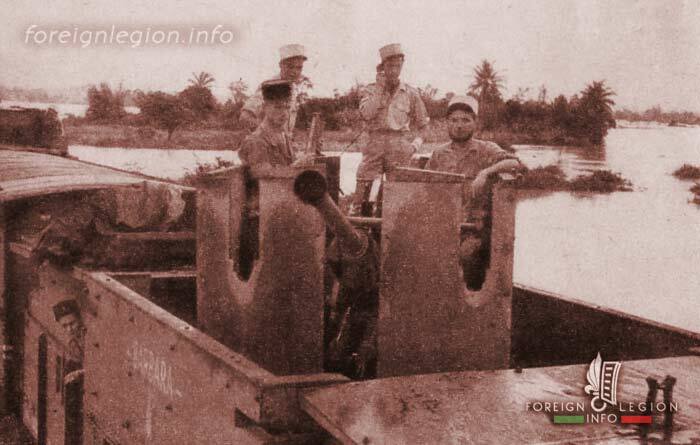 In 1943, the company was assigned to the 3e REI and became its 15th Motorized Company, to maintain order in Morocco during WWII. 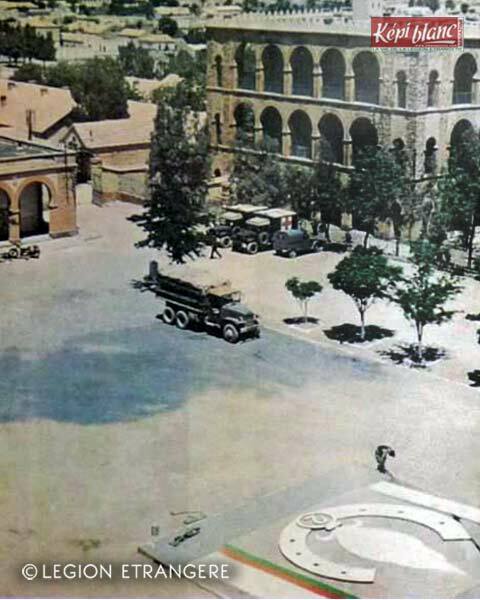 In 1946, the unit left 3e REI and in 1947, it became 3rd Motorized Company of GPLEM (Moroccan Group). RMLE/EO + 2e REI’s insignias. 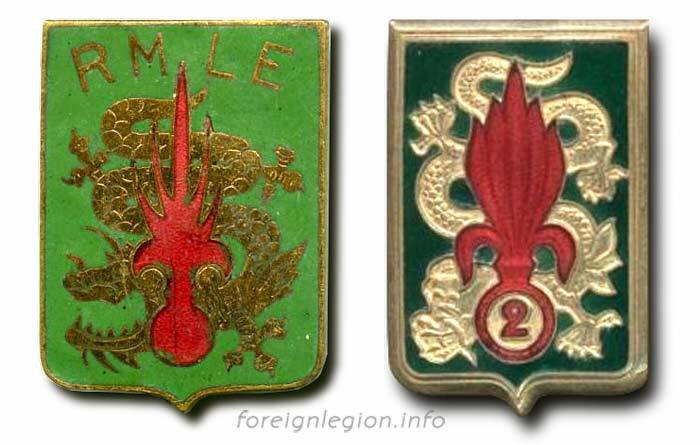 The insignia of RMLE/EO was created in Algeria in 1945. The 2e REI adopted it with decent modifications in Indochina in 1946. 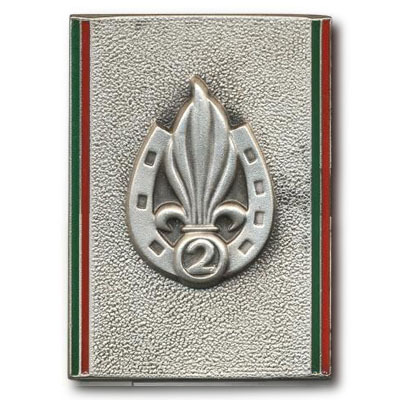 It became the first distinctive unit insignia of the 2e REI. 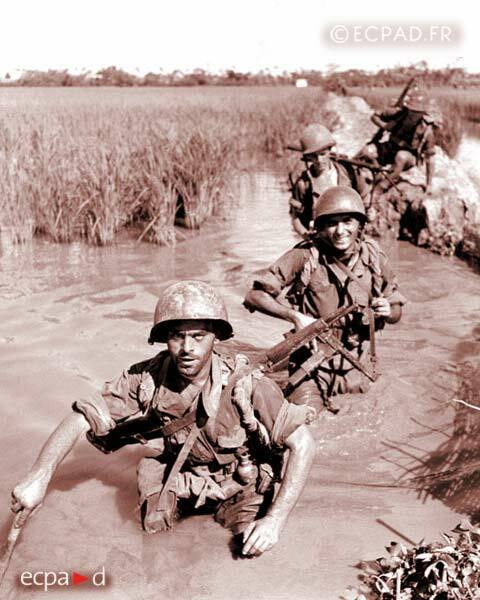 Nha Trang, central Vietnam, French Indochina (April 30, 1948). 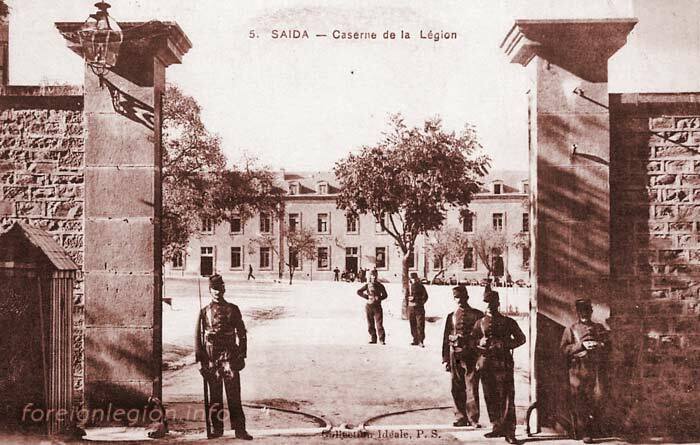 In their garrison town, 2e REI legionnaires celebrate Camerone Day, the most important day of the modern Legion. 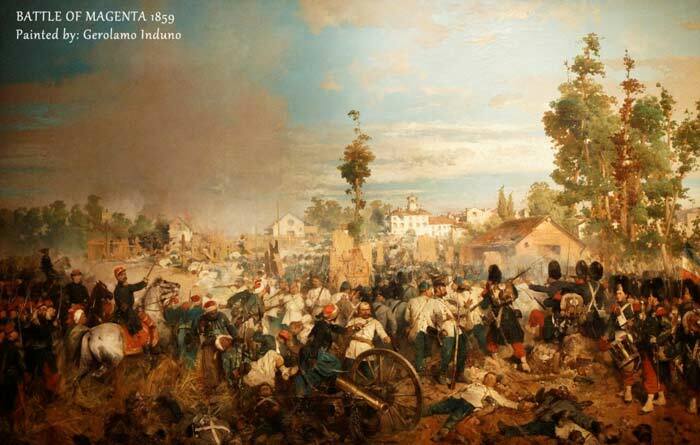 During this event, all Legion’s units commemorate the famous battle of 1863. 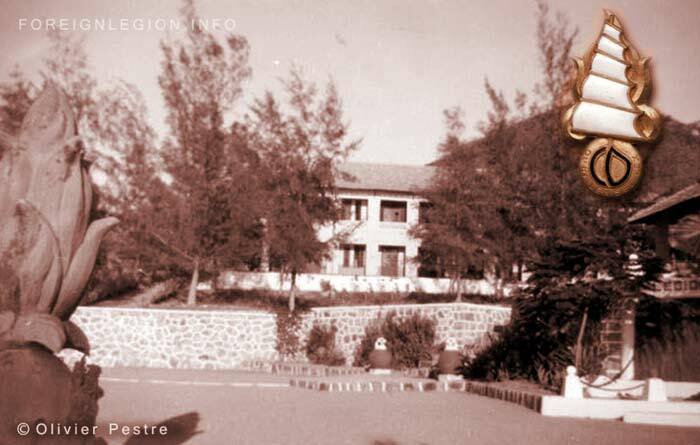 The barracks of the feared Far East Foreign Regiments Disciplinary Company (CDRE/EO) on the Tagne Island, central Vietnam (late 1954 – early 1955). 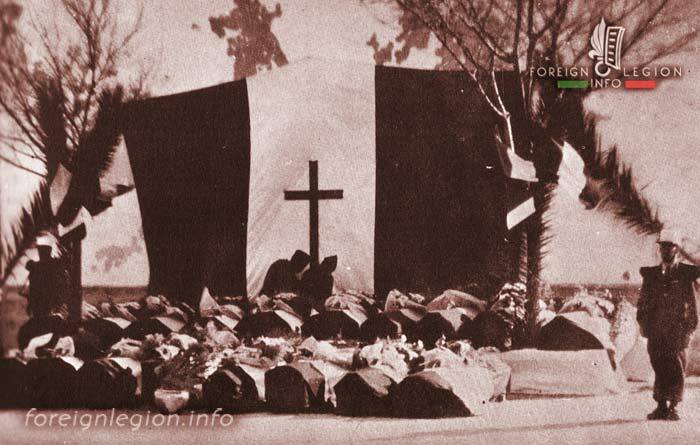 Note the “Legion” sign on the extreme right. Tunis, Tunisia. The regimental color of 2e REI decorated by General Baillif with the Croix de Guerre des T.O.E. (Foreign Theater Operations War Cross) + one palm (November 11, 1955). 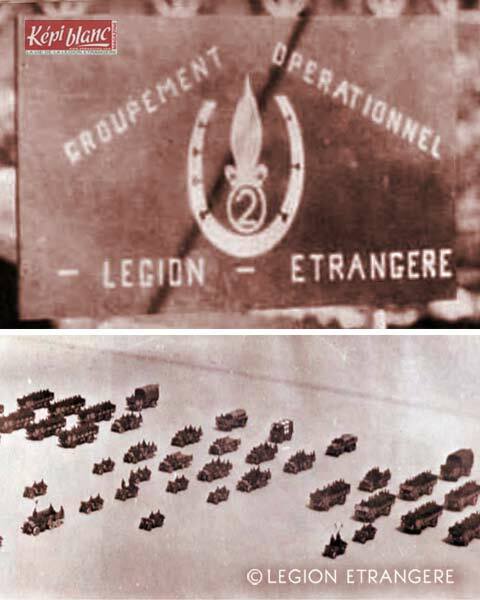 The regiment gained this award for its actions in French Indochina. 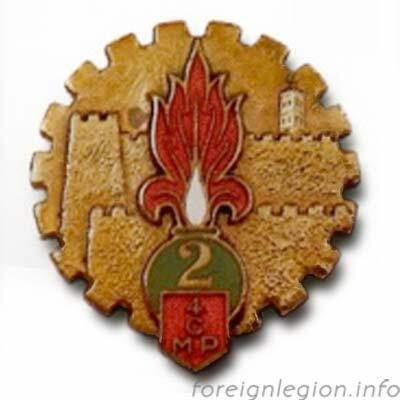 2e REI’s insignia created by Colonel Goujon in Algeria in 1957. Since then, the 2e REI insignia hasn’t been changed. Misha, the mascot of 2e REI (1956). 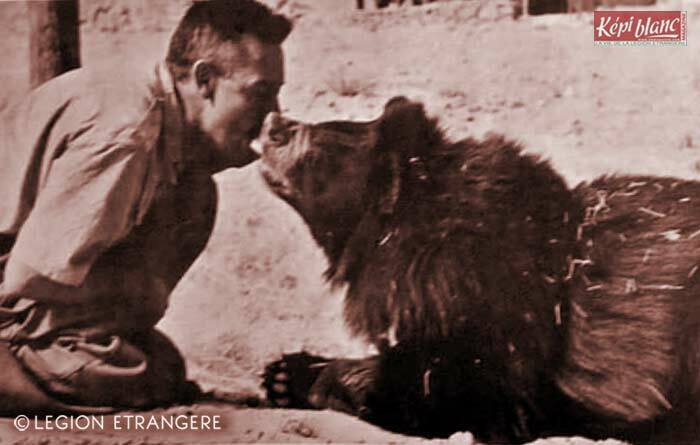 The bear was adopted by the 8th Company in the Luang Prabang region of Laos in 1954 and brought to North Africa in 1955. 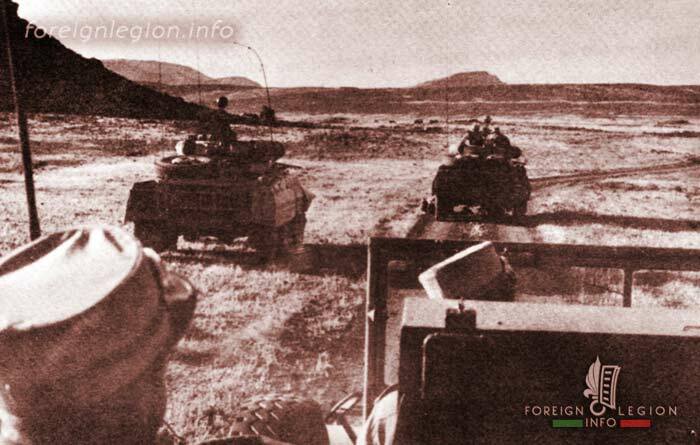 An AMM8 (M8 Greyhound) of the 2nd Motorized Company, 2e REI in the Ain Sefra region, western Algeria (October 1956). 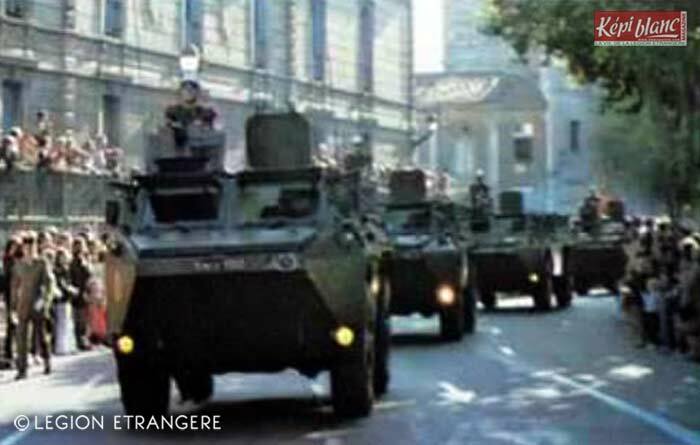 The regiment received these armored cars the same month, to become the first fully motorized infantry regiment of the Legion. 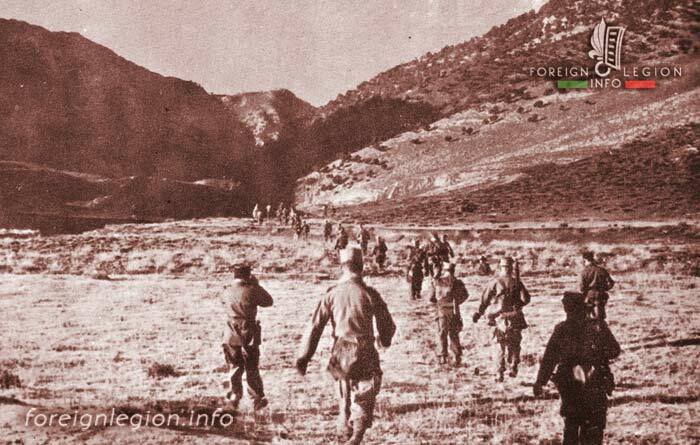 Ain Sefra, western Algeria (1958). The HQ of the 2e REI at Redoute Clavery (Clavery Redoubt), the barracks built in the early 1900s by several French Army pioneers, including legionnaires. 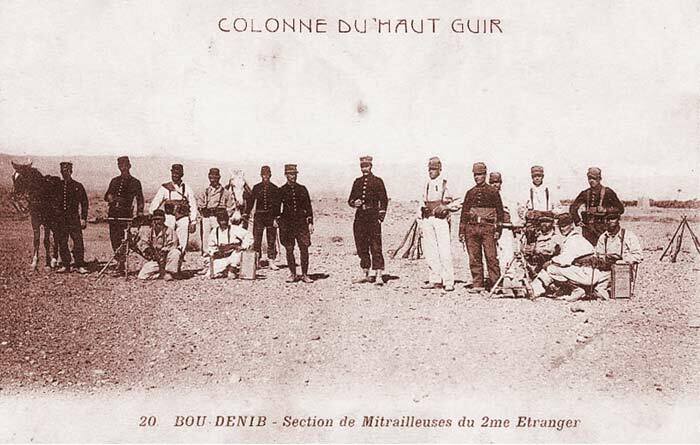 Many Foreign Legion units had been stationed there between early 1900s-1962. Harka of the 2e REI (1960). 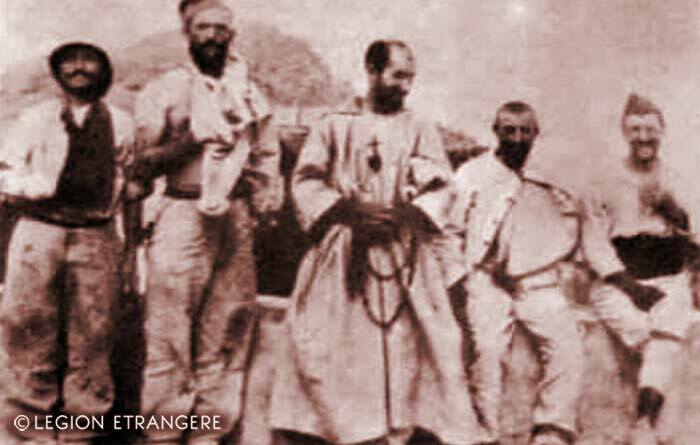 Composed of local pro-French muslim volunteers (Harkas or Harkis), the unit was led by Legion cadres. 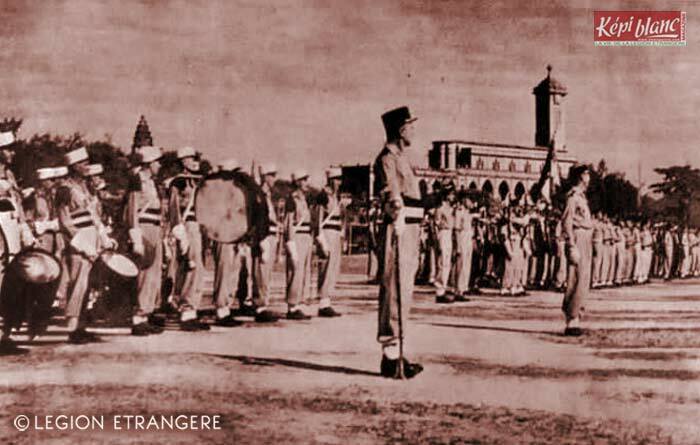 Every regiment had its own harka at that time. 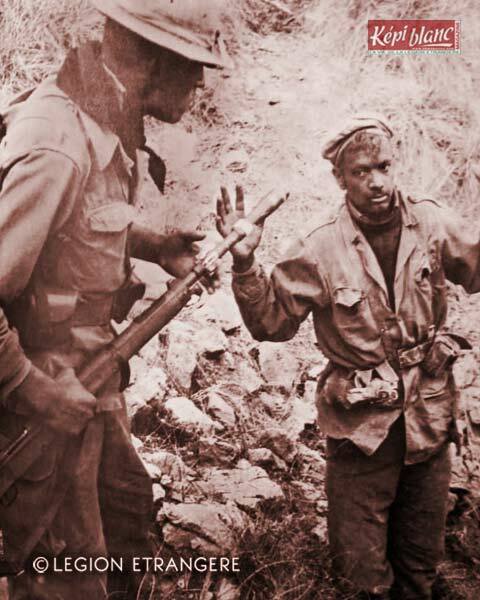 Sergeant Sanchez-Iglesias (right) and his legionnaires (Corporal Galejski + legionnaires Gerlich, Hortzkow, Dahmen), the heroes of Djebel Beni Smir (December 1960). 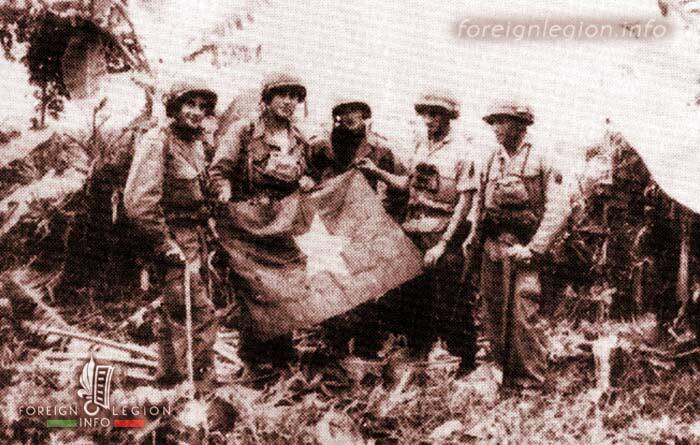 Encircled by a large group of rebels, Sergeant Sanchez ordered not to surrender and fight till the finish. 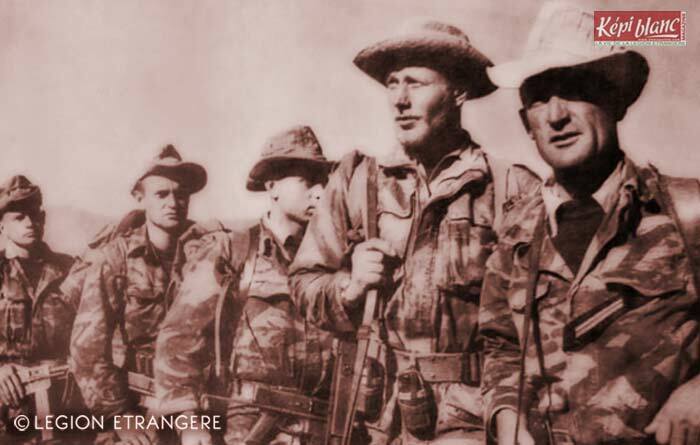 These 5 legionnaires from the 1st Company, 2e REI resisted during next 12 hours until the reinforcement arrived and fought off the enemy. 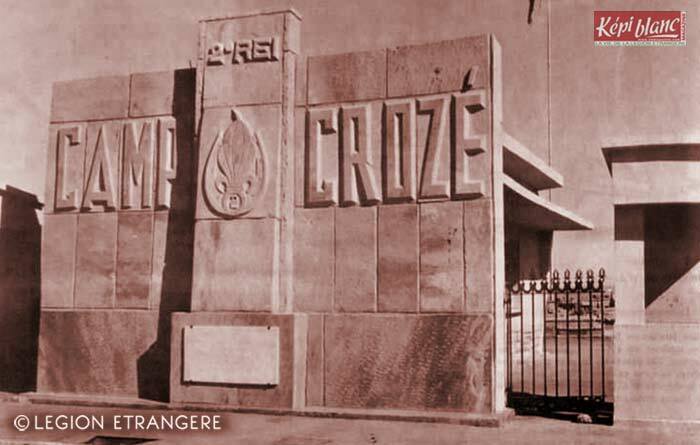 Camp Crozé, Colomb Bechar, Algeria (1965). 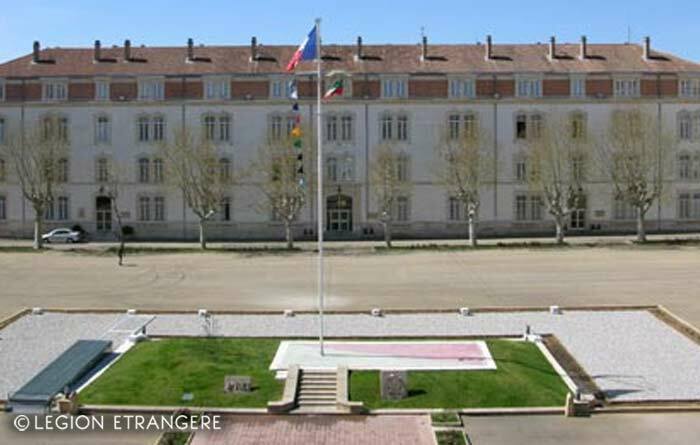 The new HQ of the 2e REI, named after its last officer killed during the Algerian War, Lieutenant Louis de Crozé de Clesmes. His father(? 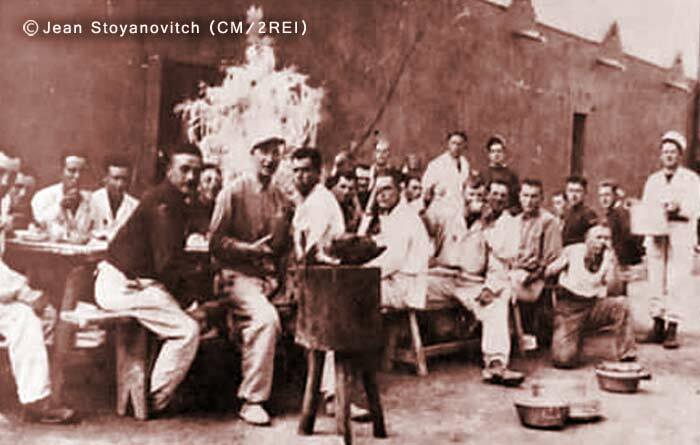 ), Captain Crozé, an intelligence service officer with the 2e REI in French Indochina, was killed in October 1946. 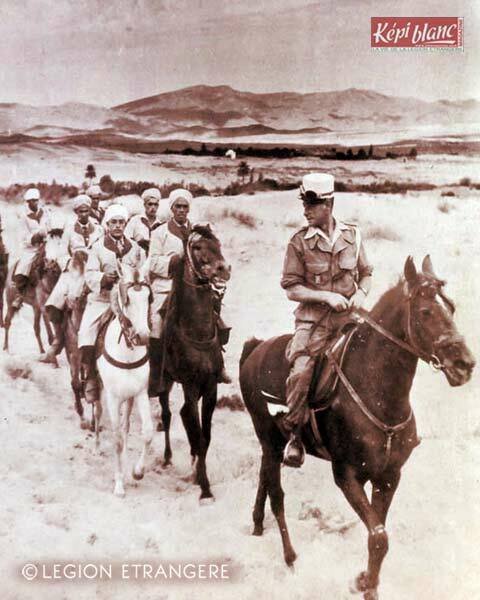 Tabelbala, in the Sahara of western Algeria (1965). 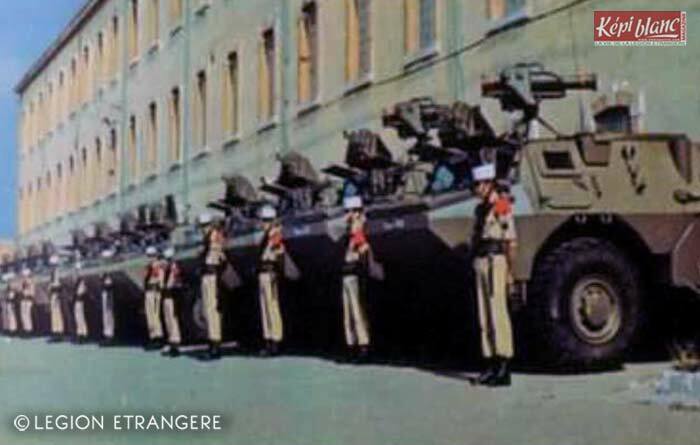 The Armored Platoon, 2nd Motorized Company, 2e REI parading in its traditional Saharan uniform, adopted from the pre-1963 period, when the company served as an independent unit, the 4e CSPL (Saharan Motorized Company). 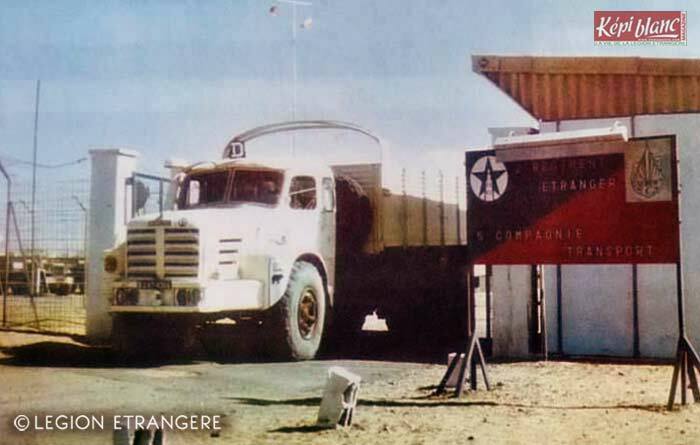 A Berliet truck of the 5e CTGP (Heavy Carrier Transportation Company), 2e REI, at its outpost of Reganne, southern Algeria (1965). 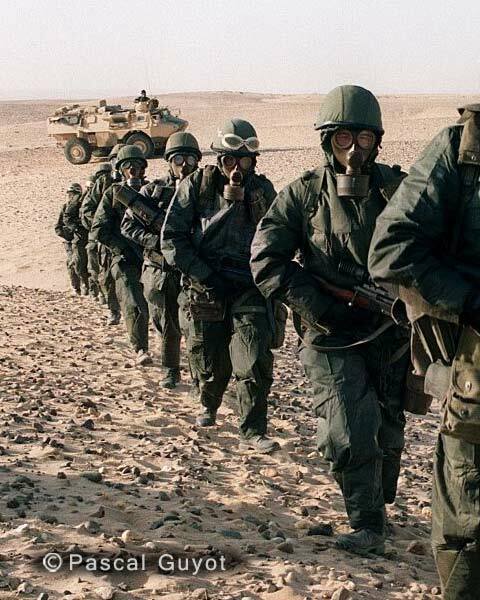 Deep in the Sahara desert, the company helped to evacuate the French nuclear testing site. 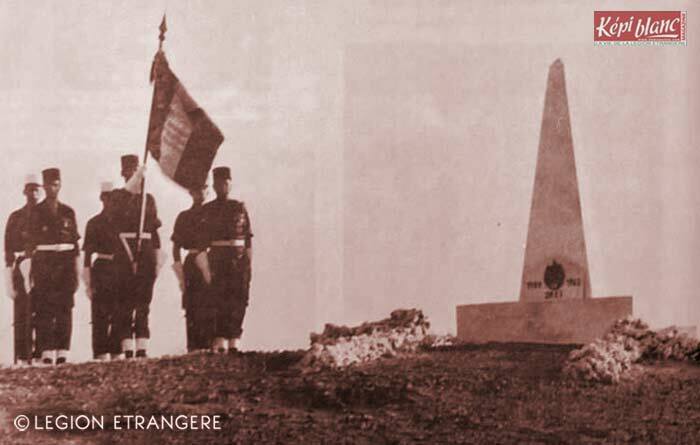 The color guard of 2e REI at the site of the 1903 Battle of Moungar, to commemorate the fallen legionnaires from its 22nd Mounted Company (September 1966). 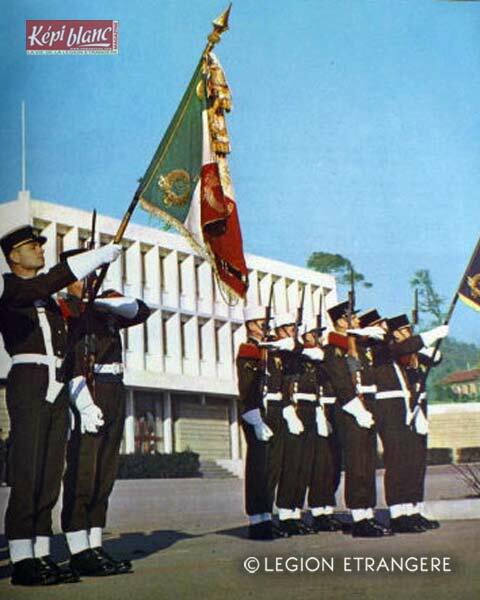 The color guard of 2e REI at the HQ of the Legion at Aubagne, France, during the dissolution ceremony (January 1968). 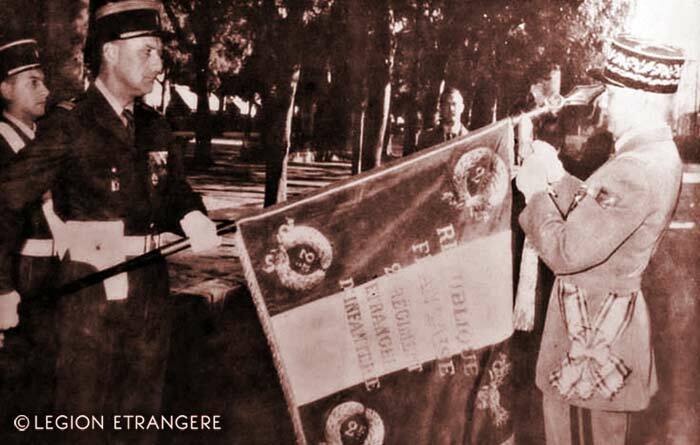 At Corte, Corsica, Colonel Sevranckx received the regimental color of 2e REI (September 1972). 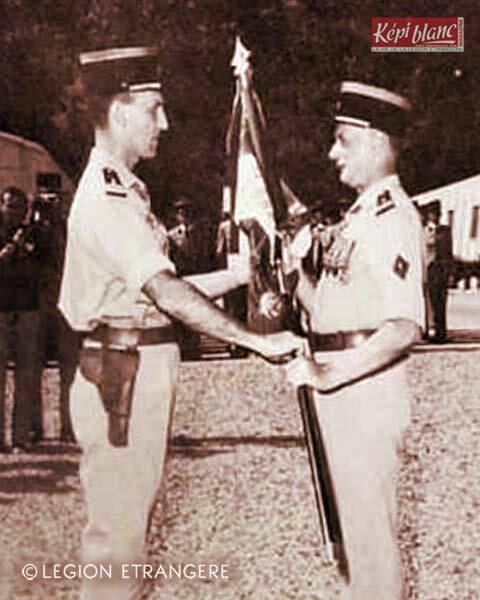 He was the first commanding officer of the reactivated regiment. 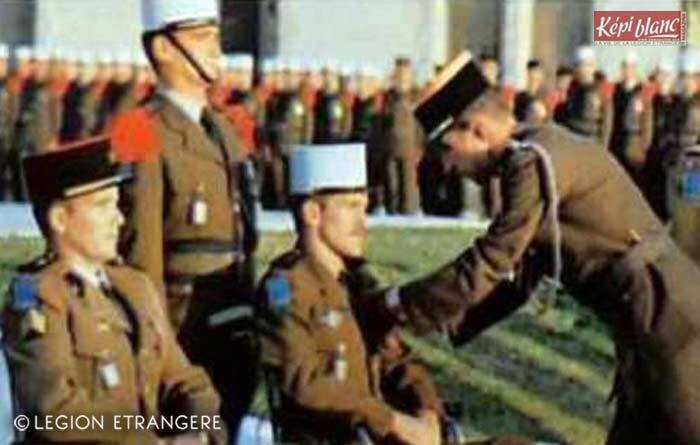 In 1950, as a young lieutenant with the 2e REI, he was seriously wounded during the war in French Indochina. 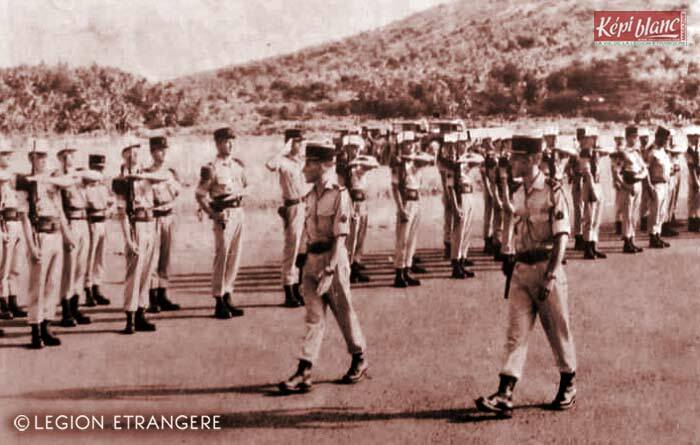 The freshly established 7th Company of GOLE, 2e RE during a ceremony on Mayotte, Indian Ocean (January 1975). 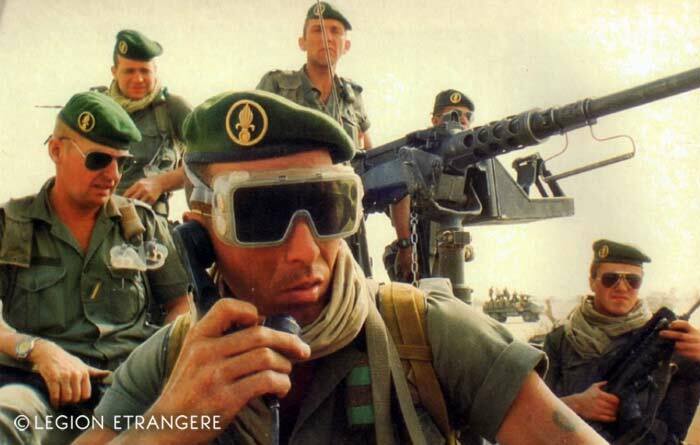 The GOLE, 2e RE during its deployment to Djibouti (March 30, 1976). 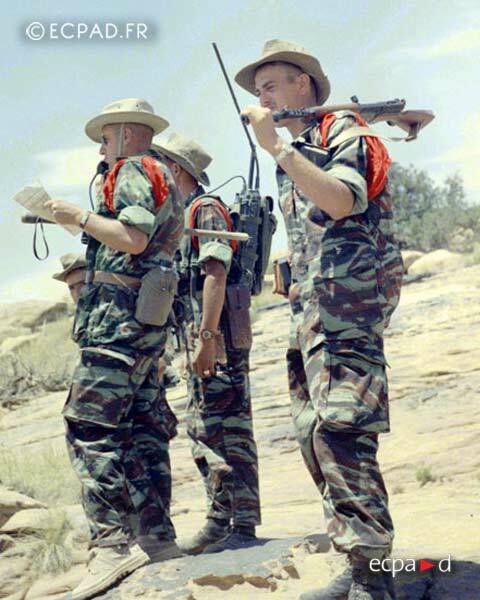 Two months later, 6 legionnaires from GOLE were killed during the 1976 Djibouti helicopter crash. 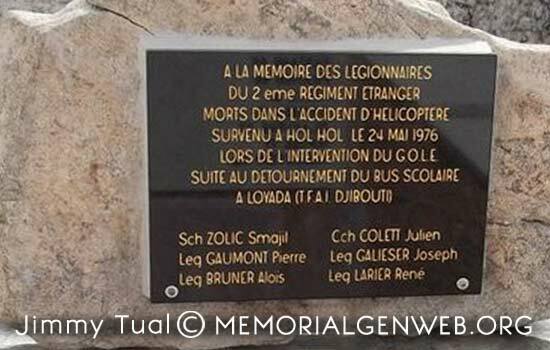 The plaque to commemorate the GOLE legionnaires, killed during the 1976 Djibouti helicopter crash. 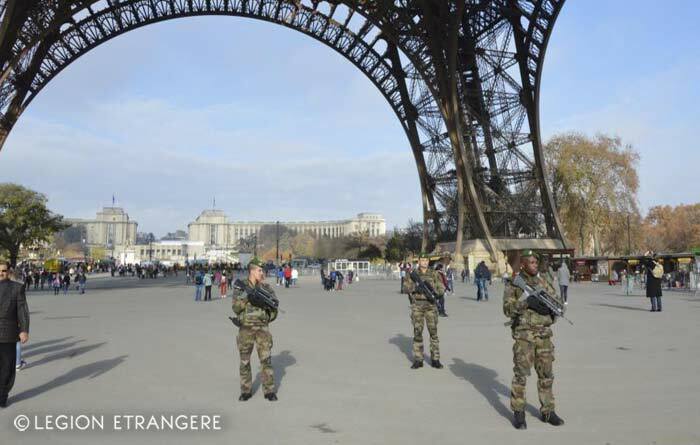 In France, the accident remains still unknown, even in 2016. Tapanar, the mascot of the 2e REI. The mule became the mascot of 2e REI in 1984. 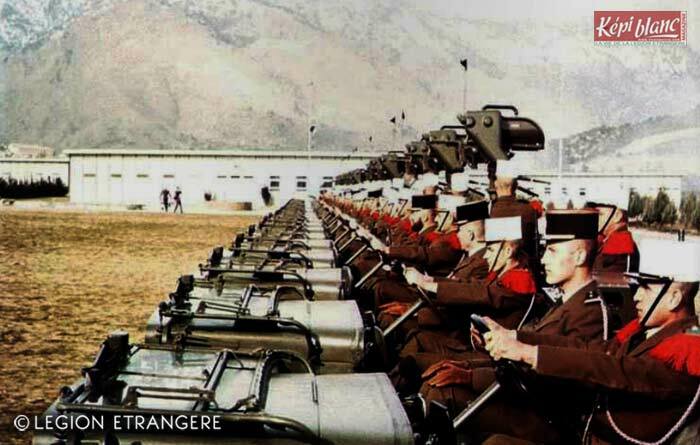 Tapanar I was replaced by Caporal-chef Tapanar II (on the picture) in 1986. 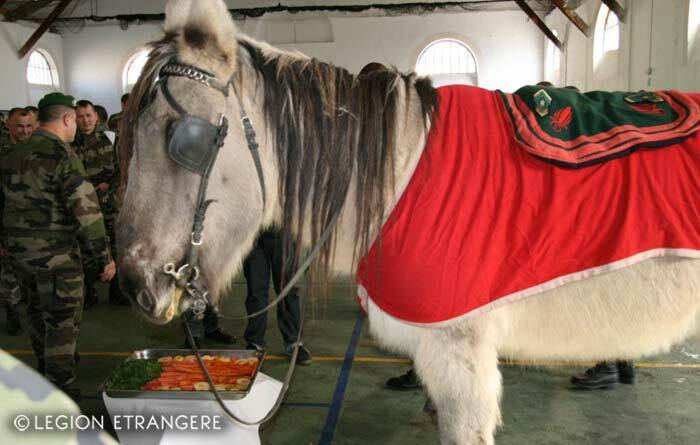 In 2014, after 28 years of service, Tapanar II left the regiment to pass its place to a new mule, Tapanar III. 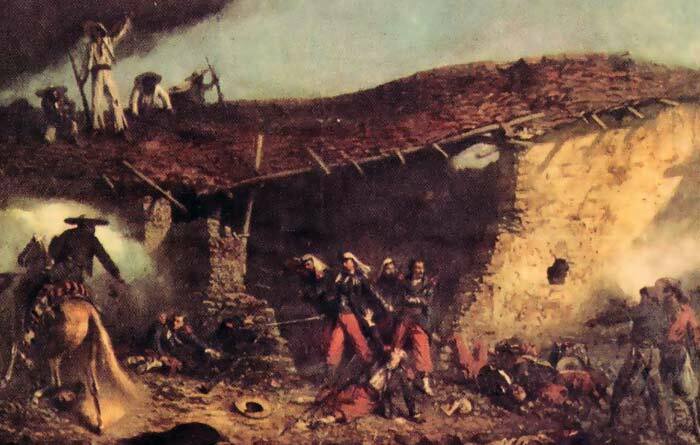 Caserne de Chabrières, Nimes. The current HQ of the 2e REI.